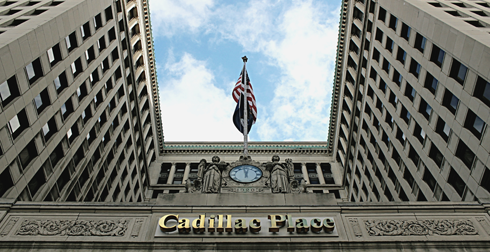 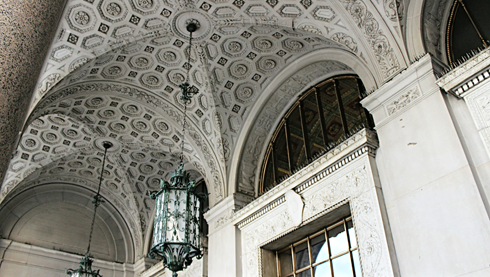 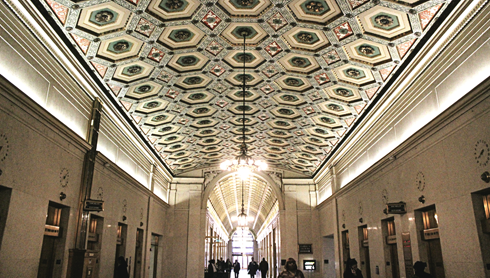 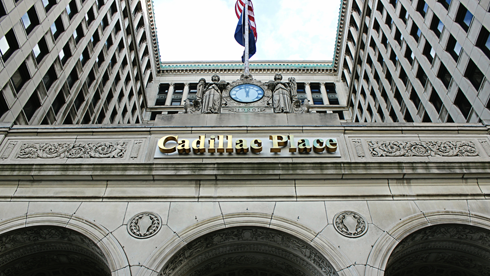 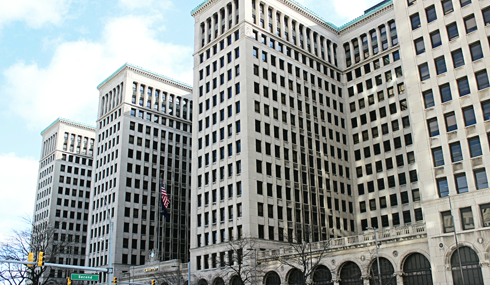 Constructed between 1919 to 1923, Cadillac Place (formerly the General Motors Building) is a National Historic Landmark in Detroit, Michigan. 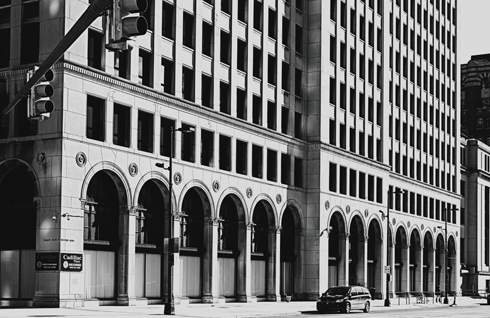 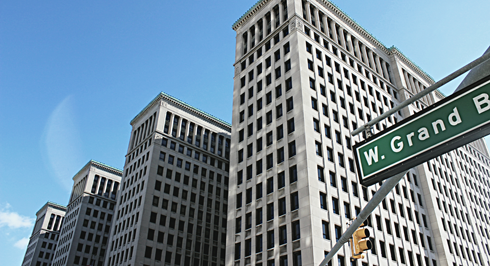 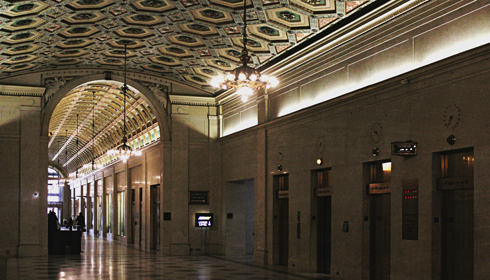 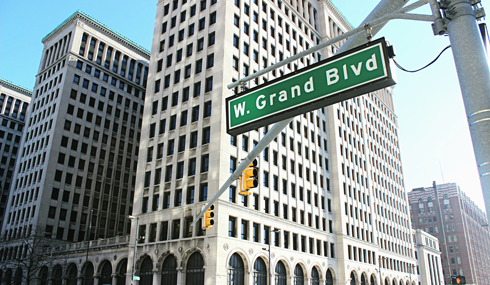 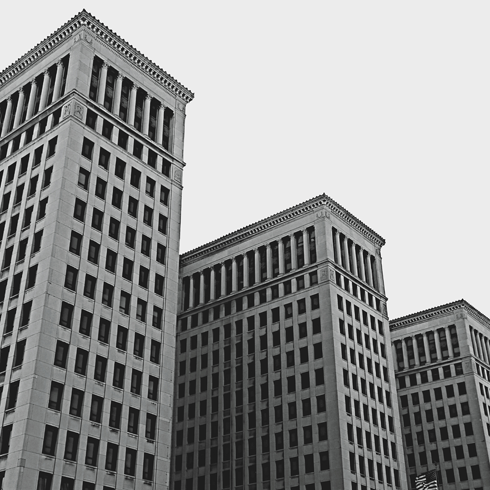 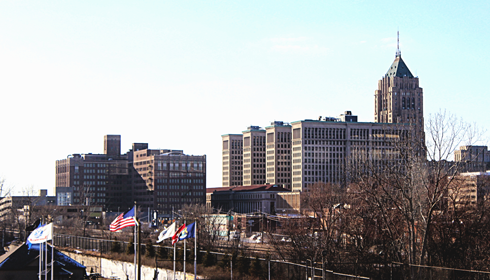 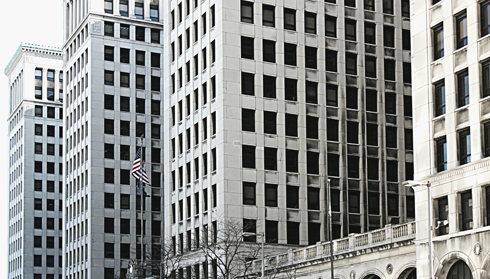 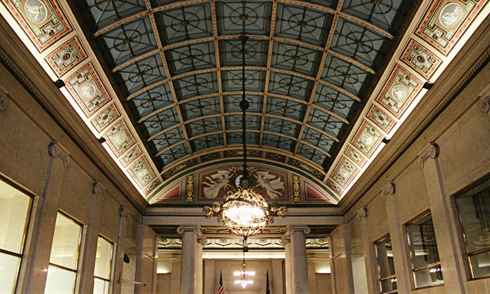 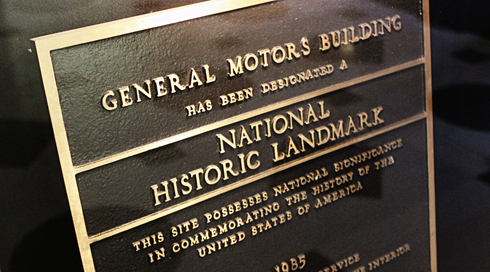 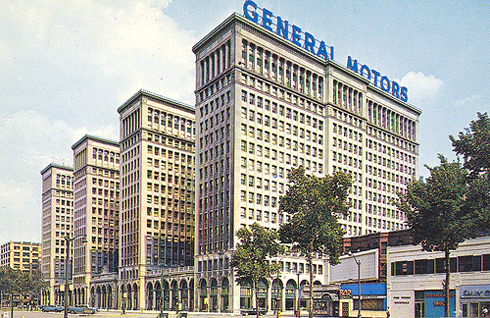 Prior to moving into the Renaissance Center, this was the headquarters for General Motors from 1923-2001. 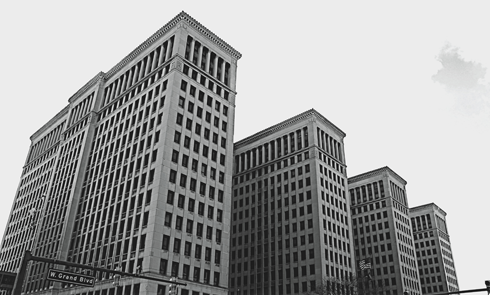 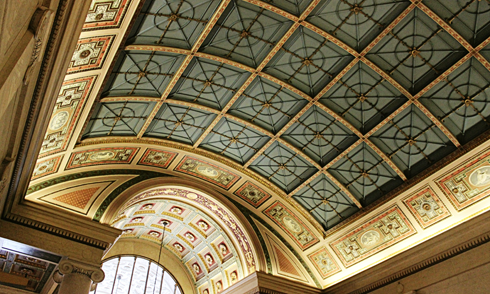 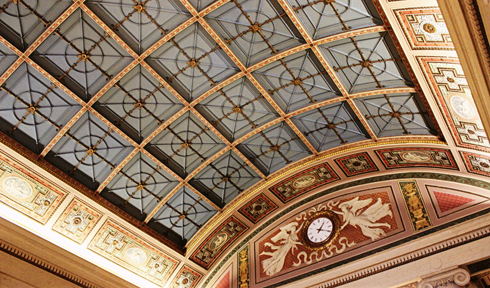 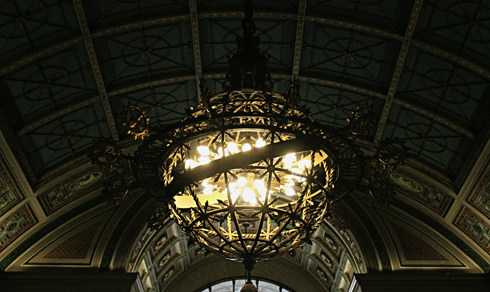 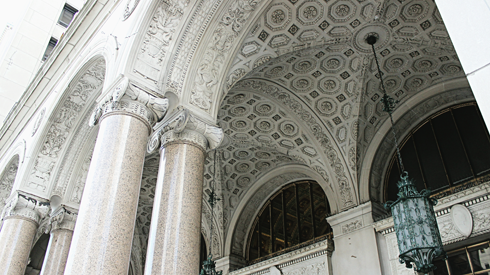 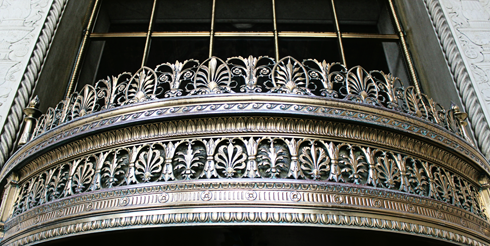 I captured a few shots of this impressive structure for my Middle America photo series while exploring the city. 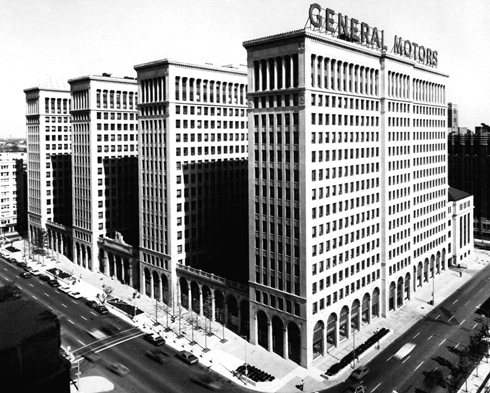 Archival image of the former General Motors headquarters.